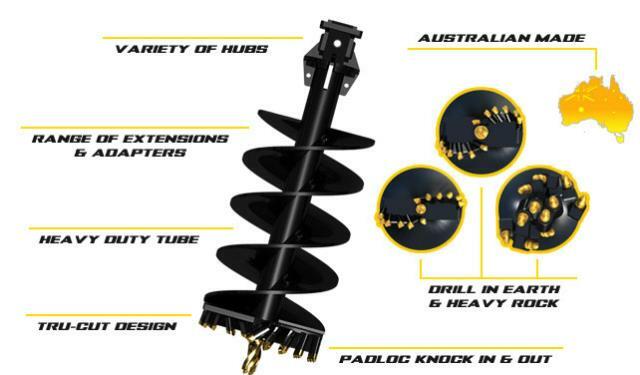 Digga 10 & 11 Series augers are specially designed for Backhoes, Excavators, large Telehandlers, and machines up to 50t. For efficient drilling, the key is an effective auger cutting head. Depending on the ground condition, you can choose between a tapered cutting head or a rotating rock pick design. 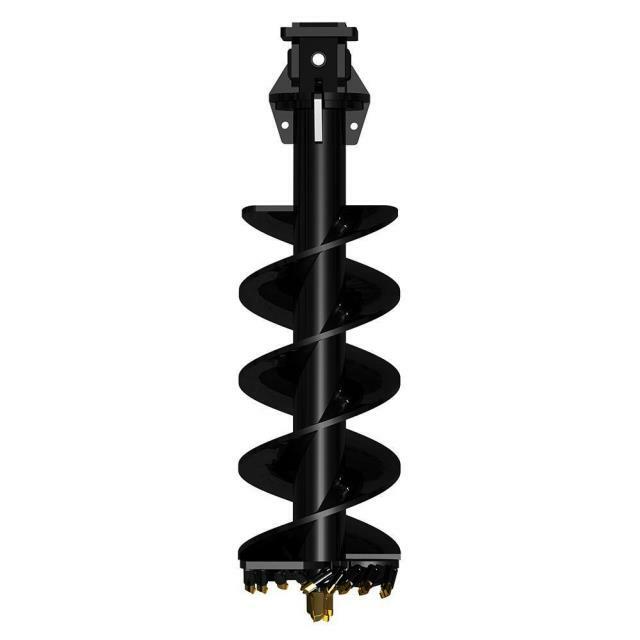 Digga's RC10 & RC11 Augers come with tapered tungsten teeth which are designed for drilling in earth, shale, asphalt, permafrost and fracturable rock. Easy PADLOC knock in and out teeth require no special tools. Choose from a range of square hub options.